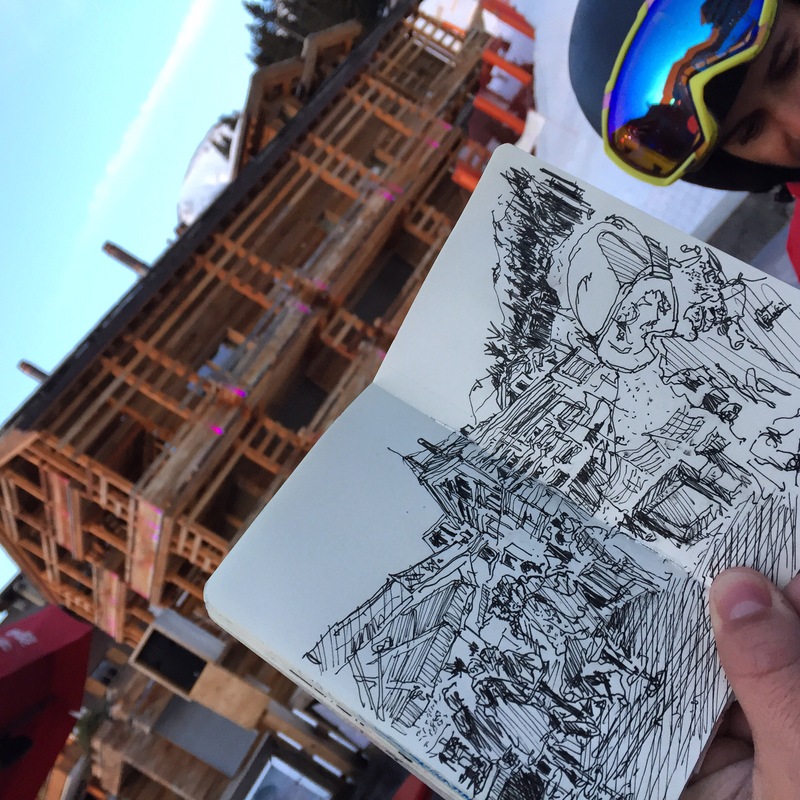 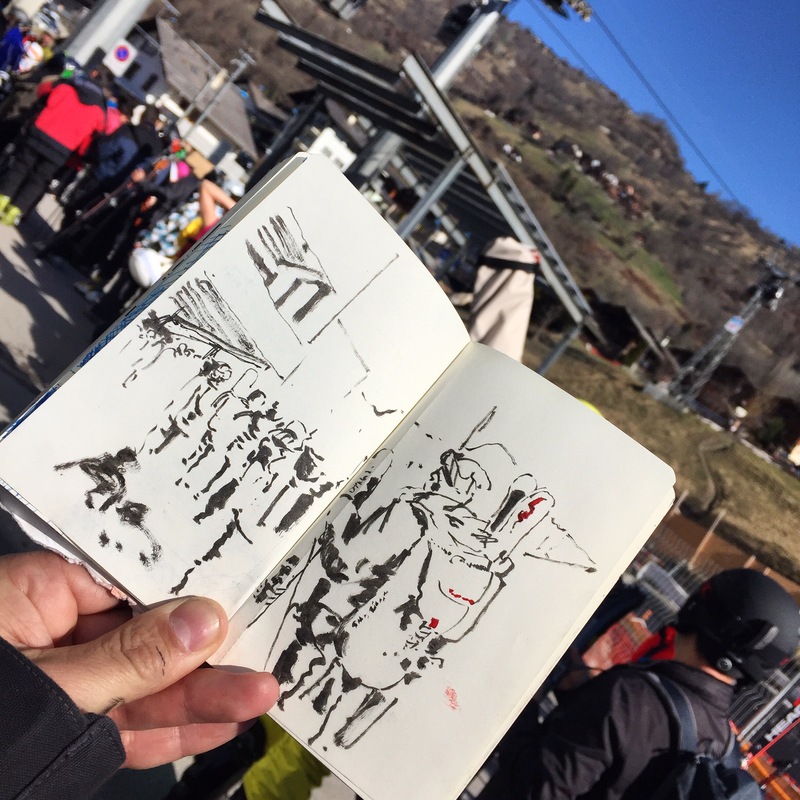 Queuing for snowboarding at Verbier! 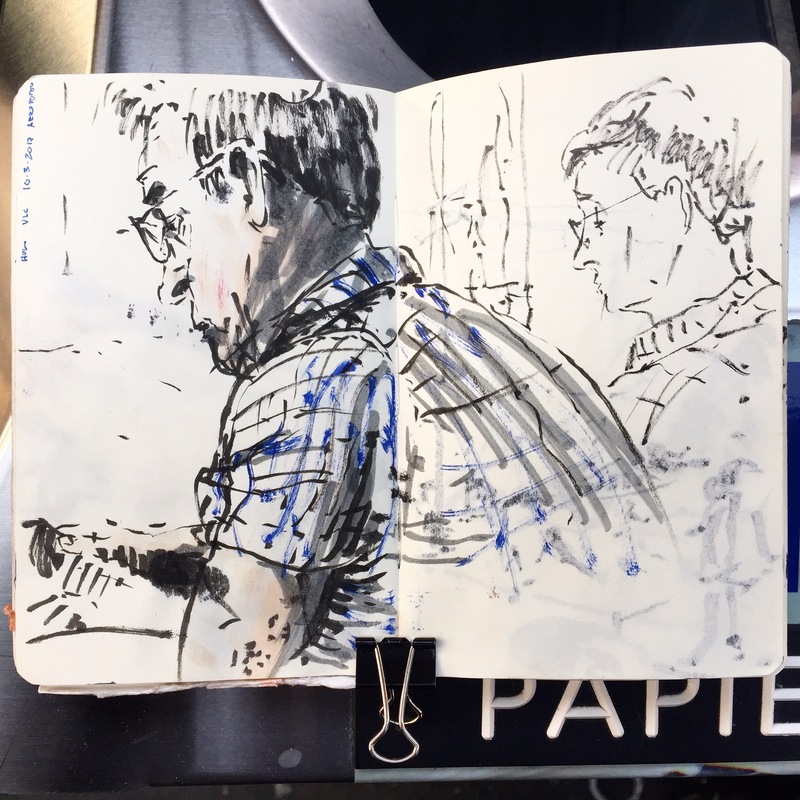 Sketching makes these moments less boring… I could’t finish it though, my #pentelbrushpen got out of ink! 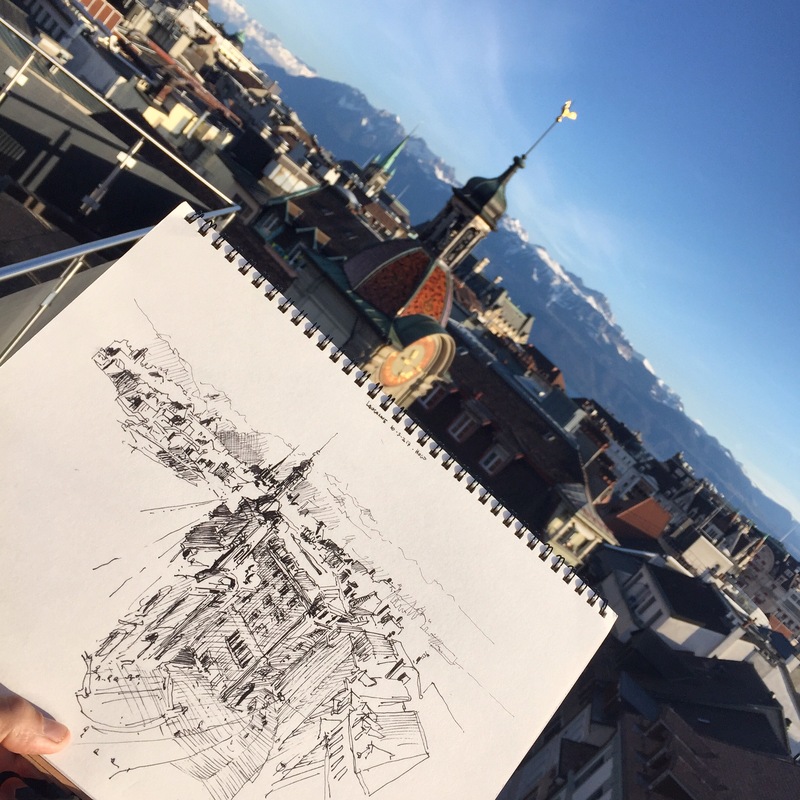 Great weather and beautiful light at the center of Lausanne. 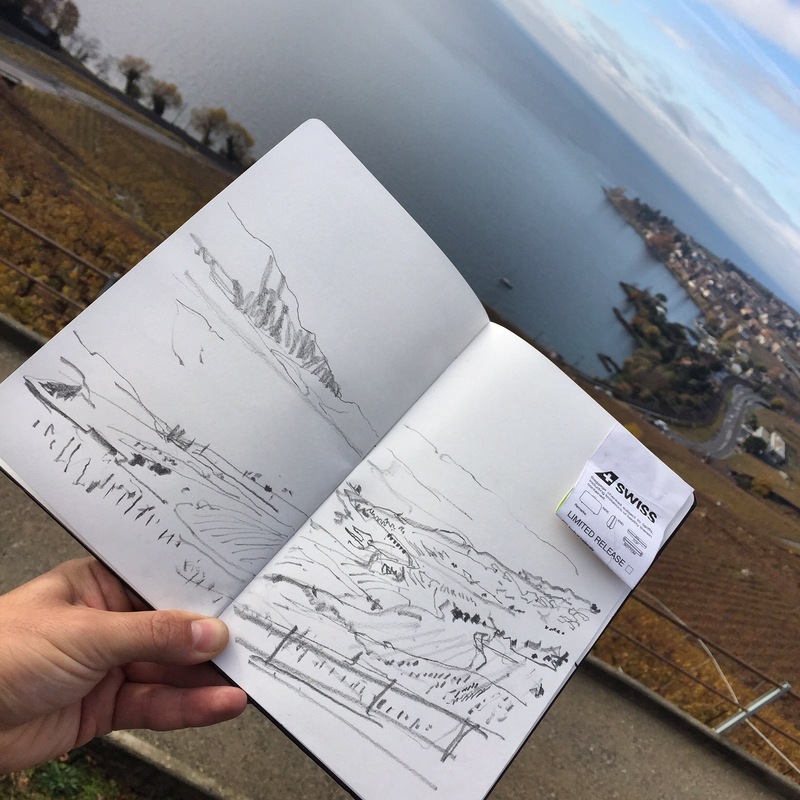 From Coop rooftop, Lamy on Muji sketch book. 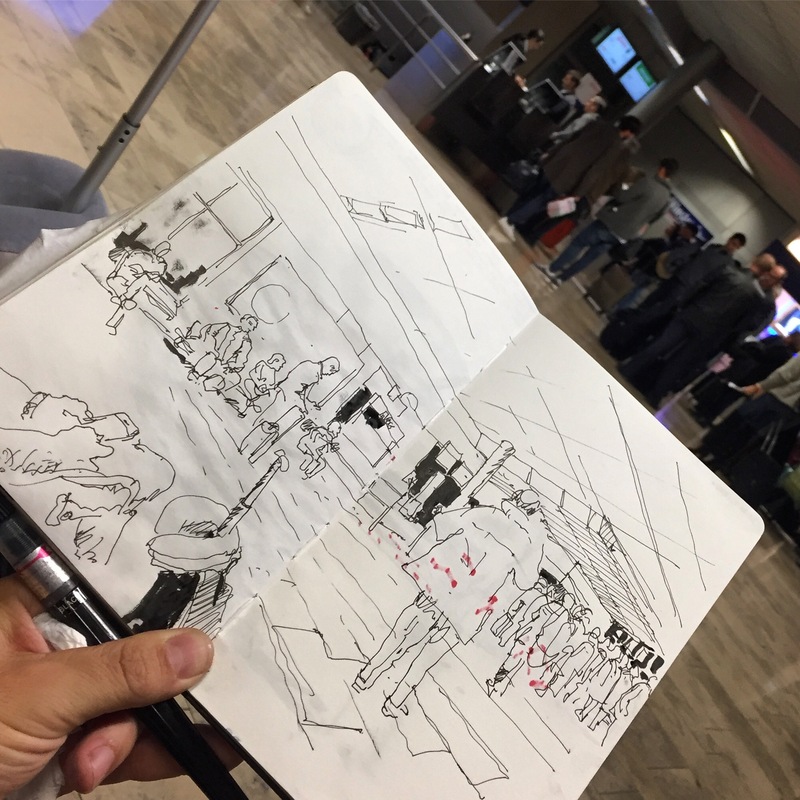 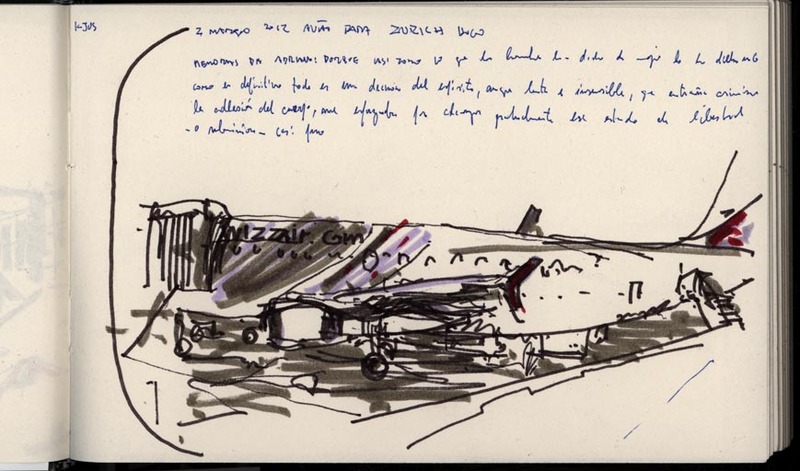 10m sketch at Zurich airport while waiting for the next flight.